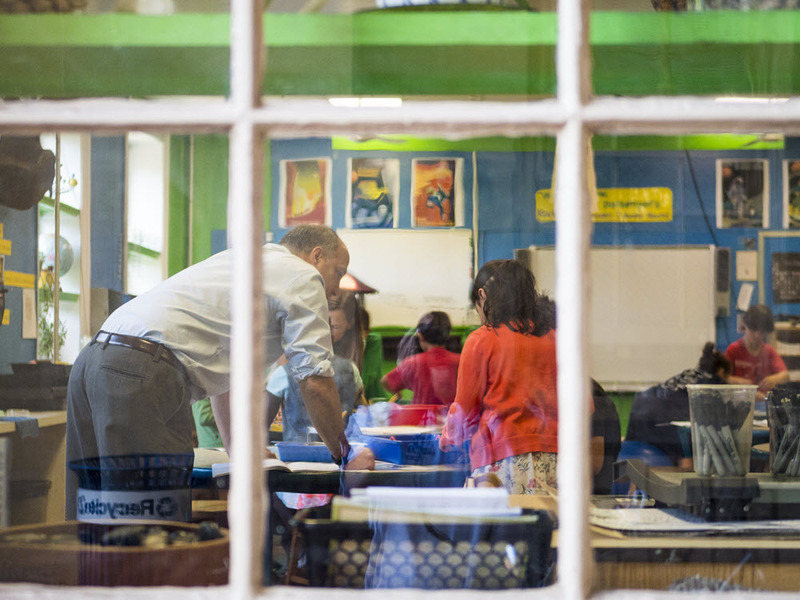 Exploration, inquiry, experimentation, play—these themes are found throughout the academic program at Germantown Friends School. 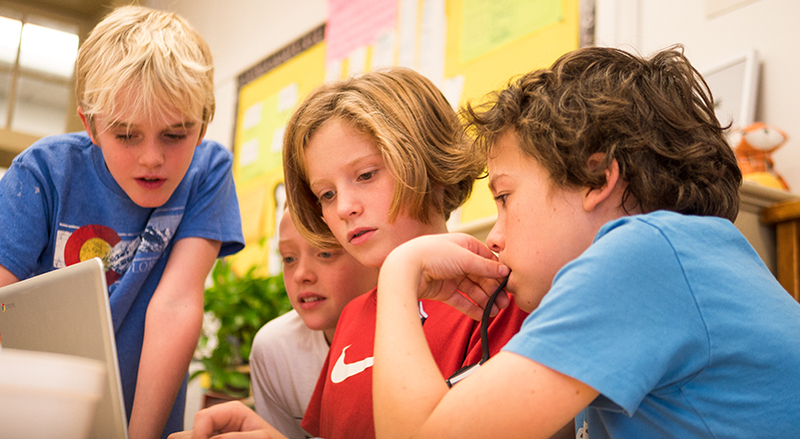 Our students wrestle with ideas and try concepts on for size. They question theories and ideas, and are curious about the world around them and their role in it. They find satisfaction in learning. Our Early Childhood students play with patterns inspired by Mondrian, while third graders create a barter-based African market. In science, sixth graders fill small observation journals with questions and notes and cunning pencil sketches. Kindergartners, seventh and twelfth graders alike spend full class periods immersed in Spanish. Eighth graders study the history of the Black Panthers. And on a Math Trail tour of Center City, tenth graders discover how math truly exists all around them. What do students need to know? What do they need to be able to do? Building on our long-standing tradition of academic excellence, we guide our students in recognizing beauty in ordinary things, tackling thorny issues in our community, society and world, and discovering genius in simple, elegant solutions to problems. They achieve all of this through careful thought and observation, which propels them to decisive action, expressing themselves with clarity and purpose. Respect for learning and for seeking truth is but one demonstration of our mission as a Quaker school, and we value strongly the central belief that there is “that of God in everyone.” In our community, we endeavor to honor each of our students as individuals—and encourage them to see, learn, experience, and celebrate “that of God” in others, too. 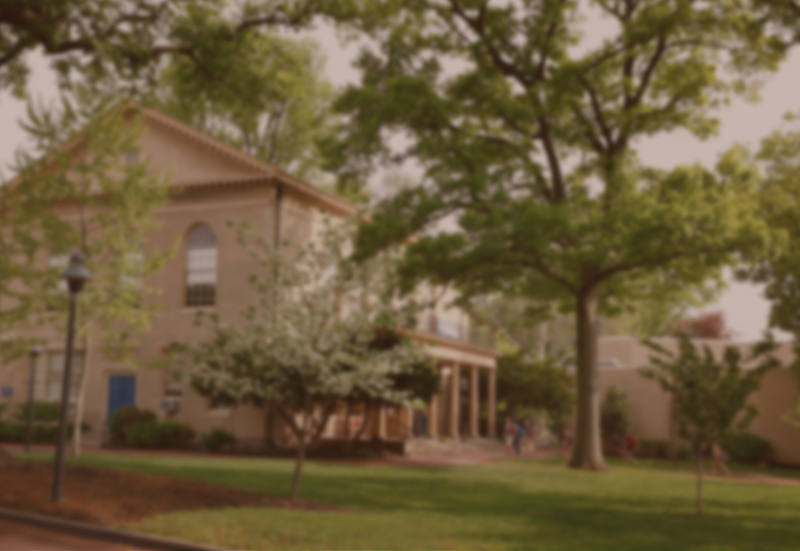 "Germantown Friends School is not just a campus filled with buildings. It embodies a community that inspires, supports and promotes the right ingredients for success."